Audiologic counseling has many facets, including patient education (Clark & English, 2014). Patient education is not inherently easy: every audiologist has had those moments when we realize our patient doesn’t understand us. Sometimes the patient is emotionally distraught and cannot concentrate, and sometimes we unintentionally provide more information than the patient-as-learner can process. Another variable to consider is the patient’s health literacy. In addition to reading abilities, health literacy as measured by the National Assessment of Adult Literacy (NAAL)(2006) includes the ability to interpret graphs, do basic calculations (numeracy skills), and use a computer. 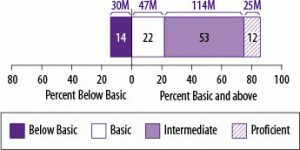 We cannot take any patient’s health literacy for granted; in fact, the NAAL reports that more than 1/3 of adults in the United States (77 million) have limited (basic and below basic) health literacy skills (see figure below). Persons at basic/below basic literacy levels are not able to read or fully understand a newspaper article, fill out forms for Social Security, Medicaid or Medicare, or follow a bus schedule or calendar (Weiss, 2007). Relatedly, low health literacy is linked to more mistakes in medication usage, more emergency room visits and hospitalizations, and a higher risk of death. Relevant to audiology, it could mean misunderstanding instructions for hearing aid use, misinterpreting Internet sites about cochlear implant candidacy or auditory processing problems, or an inability to complete scales/questionnaires or provide a medical history. Health literacy skills are affected by age, education, income, health insurance status, and first language acquisition. But as Weiss (2007) warns us, “You can’t tell by looking” (p. 16). Health literacy is a topic of high interest these days because health-related information continues to grow in complexity. 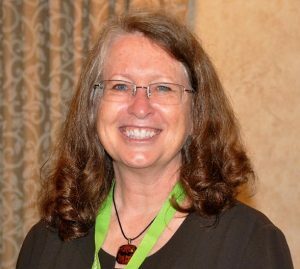 This article has two parts: defining health literacy, and suggestions for audiologists on how to address health literacy concerns in their patient care. The definitions of health literacy have evolved rather quickly, from the static “snapshot” described in the figure above, to a dynamic process of growth and empowerment (Nutbeam, 2008). For instance, rather than pinning down health literacy as an unchangeable state as the NAAL data might imply, Zarcadoolas et al. (2005) prefer to define health literacy as “the wide range of skills, and competencies that people develop to seek out, comprehend, evaluate and use health information” (emphasis added)(p. 196). Such development can occur independently on the patient’s end, but it also can occur as a result of effective communication with health care providers. In other words, if we counsel and educate effectively, a patient’s health literacy level should increase over time. Another dimension to health literacy is media literacy, or the ability to critically evaluate media messages in all formats. Additionally, health literacy is affected by context: patients may be proficient in managing medications and appointments for other health conditions, but with no prior experience with hearing loss, they may not immediately be ready to apply what they know to the novel context of audiologic care. And although not mentioned in the health literacy literature, audiologists might want to add understanding/use of technology (apart from computers) as a health literacy skill. Several screening tools are available to determine a patient’s health literacy levels, but these have been criticized as too narrow, given the many facets that comprise health literacy. Taking the progressive view that health literacy is dynamic rather than static, we can fairly assume that patient education contributes to this process. Following are three simple strategies to help us support our patients’ health literacy: one to improve verbal communication, and two to improve written communication. Verbal Communication. All health educators know this maxim: “Just because we explained it, doesn’t mean it was understood.” We need to convey quite a bit of information, directions, and explanations. To reduce the risk of losing or confusing a patient as we talk, we can use a simple strategy called the “teach-back technique” (Weiss, 2007). Instead of asking, “Do you understand?” (to which most people will say “yes” rather than admit to the contrary), we ask patients to explain their understanding of test results and our recommendations back to us. Their “teach-backs” will tell us if any misunderstandings or confusions exist, and keep us accountable for our teaching. If we don’t check, we won’t know if they genuinely understand. Handouts, brochures, other written materials. The conventional recommendation for written materials is to write the content at a 4th grade reading level if possible, certainly not to exceed 8th grade. This is not to imply that our patients are incapable of more challenging reading levels. The purpose of monitoring the grade level of our written material is to eliminate potential barriers for the many patients who have little or no background in the topic. The more accessible the written content, the more readily a patient will understand, remember and use the information. A quick and easy way to check the reading levels of our written materials is to cut and paste content to a website such as readability-score.com. A reading level score (e.g., the Flesch-Kincaid Grade Level) is immediately reported. If too high, look to simplify overlong sentences, complex grammar, and high-level vocabulary. When unusual or complex words are unavoidable (e.g., sensorineural), add a glossary at the end. Managing website content.The same reading level goals for brochures and handouts apply to websites. There is the additional concern of making websites easy to use and navigate. A guide to writing and designing easy-to-use health web sites has been developed by the U.S. Department of Health and Human Services, specifically written to address the goals of health literacy. The concept of “health literacy” has evolved from measuring reading and numeracy skills as a static snapshot, to a dynamic process that should increase with every encounter with health care providers. Audiologists cannot immediately know a patient’s health literacy skills, but we can keep health literacy in mind as we refine our patient education efforts. 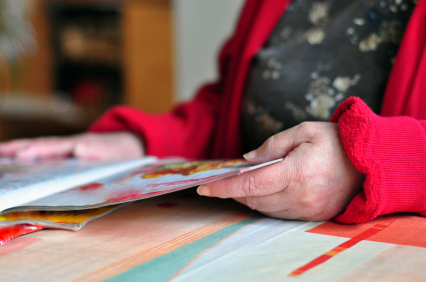 Virtually every encounter presents an opportunity to support a patient’s health literacy. Berkman, N.D., Davis, T.C., & McCormack, L. (2010). Health literacy: What is it? Journal of Health Communication: International Perspectives, 15(2), 9-19. Clark, J., & English, K. (2014). Counseling-infused audiologic care. Boston: Allyn & Bacon. Ishikawa, H., & Yano, E. (2008). Patient health literacy and participation in the health-care process. Health Expectations, 11, 113-122. National Assessment of Adult Literacy. (2006). The health literacy of America’s adults: Results from the 2003 National Assessment of Adult Literacy. Nutbeam, D. (2008). The evolving concept of health literacy. Social Science and Medicine, 67, 2072-2078. Weiss, B. (2007). Health literacy and patient safety: Help patients understand. Manual for clinicians (2nd ed.). Chicago, American Medical Association. U.S. Department of Health and Human Services, Office of Disease Prevention and Health Promotion. (2010). Health literacy online: A guide to writing and designing easy-to-use health Web sites. Washington, DC: Author. Zarcadoolas, C., Pleasant, A., & Greer, D. (2005). Understanding health literacy: An expanded model. Health Promotion International, 20(2), 195-203.